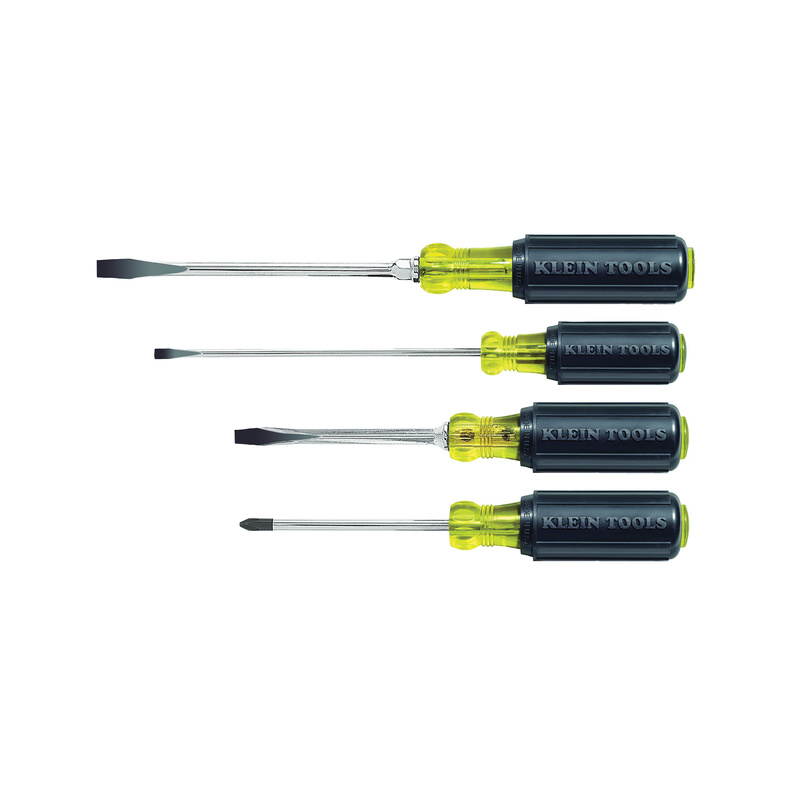 Klein Tools Tip-Ident® Screwdriver set contains 603-4 round-shank, #2 Phillips-tip 4-Inch x 8-5/16-Inch, 600-4 square-shank, keystone-tip 4-Inch x 8-11/32-Inch, 601-6 round-shank, cabinet-tip 6-Inch x 9-3/4-Inch, 600-6 square-shank and keystone-tip 6-Inch x 10-15/16-Inch. The comfortable cushion-grip handle enables greater torque and the double wings inside handle offer solid, twist-resistant blade anchor. Screwdriver set meets ASME/ANSI specifications.